Sometimes a single router simply won’t do. While manufacturers have made them more powerful, and Wi-Fi technology has advanced to better cover wider spaces with better range, throughput can still be an issue. Enter Wi-Fi mesh routers, networking systems that use multiple routers that “talk” to each other to cast a net that serves to improve signal strength throughout the home. They serve a useful purpose if you have weak areas or dead zones in your living space. Wi-Fi range extenders can be decent accessories, except they don’t work seamlessly the way mesh Wi-Fi systems do. It’s hard to pinpoint one mesh system that is the “best” above all others, but there are advantages between them worth taking into account. For example, you may want more stringent parental controls, or prefer a design that can blend in with your décor. Does your home Internet Wi-Fi connection have weak or dead signals anywhere in your home? If so, you may want the range multiple routers can provide. They may also use what are called “back channels” to communicate with each other on a separate frequency for uninterrupted operation. Do you want a Wi-Fi network that is easy to setup, manage and administer? Well, who doesn’t, really? The simple step-by-step setups inherent in mesh Wi-Fi systems extend to the app-based management tools that could include parental controls, security, media prioritization and more. You don’t need to be mechanically-inclined to run one of these like a pro. Plus, you can even access your router’s features away from home. Do you like the idea of a Wi-Fi network that is scalable and expansive? Mesh Wi-Fi networks usually come in packs of two or three, but you can always add more single units to expand the mesh further. Are you concerned about compatibility? No need to be. Mesh Wi-Fi routers work just like any other router does, and would be fully compatible with whatever hardware your Internet Service Provider (ISP) delivers through the modem. Your devices would also connect to them like any other Wi-Fi router. Wondering about speed and range? The whole premise here is that you get better throughput around your home, which will improve the connection speed in areas that struggled before. Mesh Wi-Fi won’t get you faster Internet on its own — overall speed depends on what you’re paying for from your ISP. Speaking of speed, you will see manufacturers marketing numbers like AC1900, AC2200 and AC2600. These indicate the theoretical total bandwidth the router can produce on both the 2.4GHz and 5.0GHz bands. They are more an indicator of throughput than they are of speed, though the two can go hand-in-hand. A larger number is better able to handle a greater number of devices connected to it. MU-MIMO (multi-user, multi-input, multi-output) is a newer protocol that allows compatible devices to receive bandwidth without having to queue for it. Normally, routers distribute bandwidth in sequence based on which device needs it first, whereas MU-MIMO just does it to compatible devices simultaneously. Here’s a look at some of the top mesh Wi-Fi systems to help you out. A play on the word, “envelop”, the Velop is a powerful starter pack trio of routers that can deliver the best combination of range, throughput and administrative features. It also blends in well no matter where you want to place the three units within your home. All three units are identical, so it doesn’t matter which one is used to plug into the modem, thereby simplifying the setup process. Since each unit is effectively an AC2200 router with tri-band networking, each is capable of 400Mbps of bandwidth throughput on the 2.4GHz network, and 867Mbps plus 867Mbps on the 5.0GHz network. These are theoretical limits, as real-world performance won’t hit that high, but the Velop funnels bandwidth very well. Using the iOS and Android app to setup and manage the Velop is easy, and its assortment of controls is fairly broad. Parental controls, guest network, device prioritization, MU-MIMO for supported devices, Amazon Alexa integration, and other more advanced options make this system a standout. 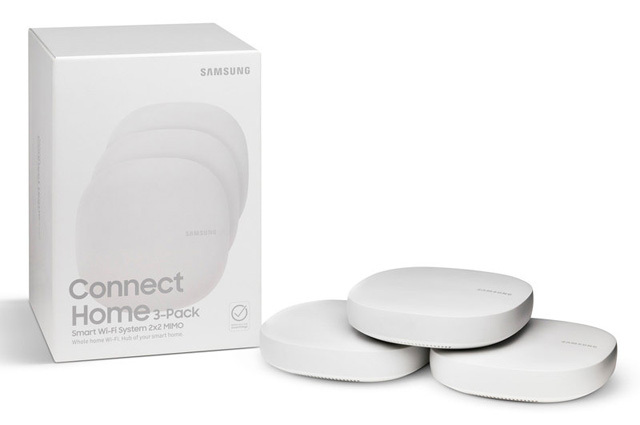 Samsung has taken the mesh Wi-Fi system setup others have gone with and added its own twist by throwing in a SmartThings Hub into the mix. It mirrors much of what others do in the sense that you can use the Connect Home app on Android and iOS to set up and manage the mesh system, but is also clearly aimed at users who want both a Wi-Fi mesh and smart home setup. Doubling as a SmartThings hub, it’s possible to program and control compatible smart home devices www.smartthings.com/products from other manufacturers. It supports the Zigbee and Z-Wave protocols that are common in smart home products, and thus, can “talk” to popular devices like Philips Hue lights, Nest Thermostat, Netgear Arlo Pro and iRobot Roomba vacuums, among others. That negates having to buy a separate hub to automate and control these types of products. As a router, the Connect Home comes in a three-pack, though a two-pack or single unit could be purchased as well, if you live in a smaller space. Each unit covers up to 1,500 sq. ft., and five is the max number for one system. Throughput is more moderate at AC1300 equivalents, so while it says 400Mbps on the 2.4GHz band and 866Mbps on the 5.0GHz band, this trio won’t be quite as potent as others, like the Linksys Velop, for instance. Alternatively, the Samsung Connect Home Pro bumps up speed and throughput to AC2600. Still, for the ease-of-use and smart home compatibility, the Connect Home is worthy of consideration. The only way to set up and manage TP-Link’s Deco M5 mesh system is via the iOS and Android app, since there is no web-based interface for computers. It presents a clear and concise menu to get around, aiming to keep it simple wherever it can. The built-in security software, courtesy of Trend Micro, is pre-installed and does not incur any additional fees. The antivirus screens for malicious content, infected devices and outside intrusions. It does this automatically, so you don’t have to give it much thought unless something significant happens. Bearing in mind it’s not a super extensive security suite, the fact it’s there and working constantly is good to have. It does extend out to every device connected to the network for added peace of mind. Infected devices logging onto the network will be blocked from infecting other healthy devices too. A history section in the app lists what was caught and quarantined, including the date and time it happened. Parental controls are fairly robust as well. As a mesh system, the Deco M5 is quite capable, offering solid range and throughput with a good feature set. The small size of each unit makes it easier to nestle into different parts of the home, and the small LED always indicates the network’s overall health and performance. 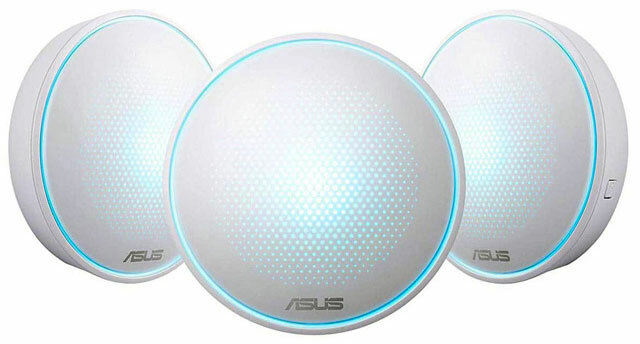 Like TP-Link’s Deco M5, Asus has equipped the Lyra to offer anti-virus and anti-malware security software it calls AiProtection to help protect the Wi-Fi mesh system from outside intruders. Beyond that, however, is an impressive set of parental controls that digs deep enough to moderate and protect children’s usage. Parental controls are available in just about every Wi-Fi mesh system, except the Lyra makes it very easy to automate how restrictions apply, so that you don’t need to always go back and change things manually. It would be possible to set a time each day that blocks Internet access entirely, or only for specific apps and websites. That would make it possible to block social media sites when it’s time to get homework done, for example. The Family Overview dashboard is the hub for all things parental control, and it’s always accessible, either at home or away. Unfortunately, there is limited effect on mobile devices. While it’s easy to block Wi-Fi access to a smartphone or tablet, for instance, it wouldn’t be possible to allow access, yet block specific apps running on iOS or Android, for example. The true depth of the parental controls features is only found on laptop and desktop computers. To achieve something similar with mobile devices, a VPN (virtual private network) product like the Disney Circle would help. 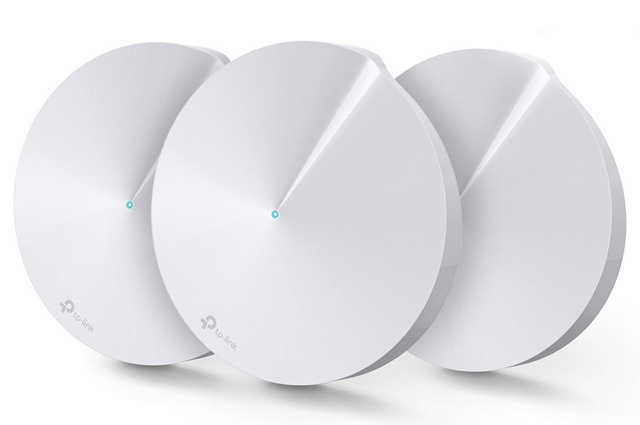 As a mesh network, the Lyra performs very well, and is most similar to TP-Link’s system, based on performance, setup and management. 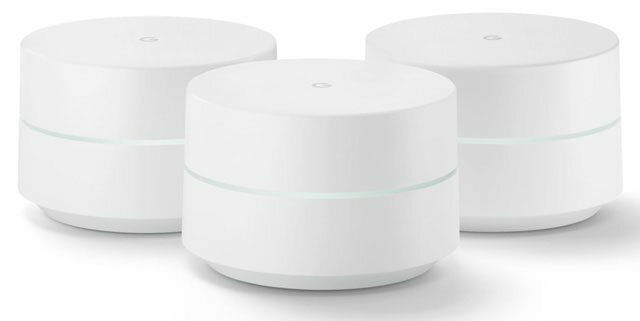 When Google entered the Wi-Fi mesh category, it wanted to create something that was extremely easy to setup, and it managed to do so. The Google Wifi Android and iOS app can expedite setup by scanning the QR code at the bottom of any of the units, which then goes through a clear-cut step-by-step process. Much of that process will feel automated because most of the work is being done in the background. To have everything up and running in as little as five minutes wouldn’t be a stretch. The hand-holding carries over to the features within the app, where navigating most of the settings and options is spelled out. A big oversight in Google’s system is the lack of parental controls, so there is no way to filter out inappropriate content or block websites. While it is possible to block Wi-Fi access to a device for even one hour with a quick tap, it’s not as intricate as others. Range and throughput is superb, especially when three units are working together in unison. The beauty of mesh Wi-Fi is that each node extends the reach of your network. But what if there isn’t a good place to seat a node? 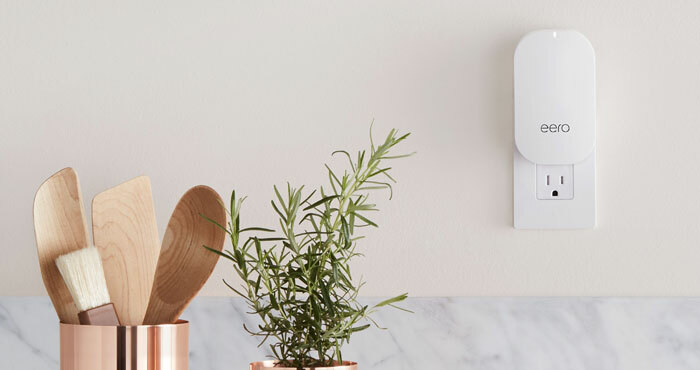 eero, which launched the mesh Wi-Fi product category, has you covered with new tiny nodes, called eero Beacon, which plug directly into outlets, making installation possible and discreet in places like hallways. The Beacons also have nightlights built-in with automatic dimming during the daytime. While the flexibility of installation is a big selling point for the eero, it also excels in other areas. The 2nd generation eero is one of the fastest systems on the market, rated at AC2200 with MU-MIMO. And, if you’re willing to pay for the Eero Plus service ($9.99 per month or $99 for the year), you’ll get anti-malware protection for all devices and parental controls, including content blocking. The AmpliFi system is unique in that it uses nodes that look and operate like antennas, rather than identical units. The base unit that plugs into the modem and has a small LCD to visualize network speed, among other things. The other mesh points plug directly into power outlets with flexible antennas to angle them any which way. They are a little unseemly if in plain sight, and they need to be unencumbered by outlets above. The advantage is that they pack a real punch in achieving a wider range. Six high-density antennas in the base system (the main unit, plus two mesh point antennas) are capable of covering a theoretical max of 20,000 sq. ft. Expanding it with another mesh point would only drive that number up higher. Blue LEDs on the mesh points illustrate the signal strength, and the AmpliFi app for iOS and Android is fairly straightforward in managing the network. Being unique mesh points that plug in and stick out from outlets, there are no Ethernet ports onboard to use as wired ports for devices to connect via Ethernet. 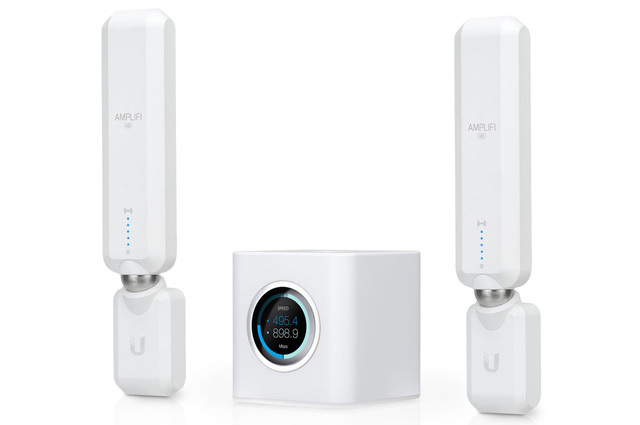 The AmpliFi HD might also be overkill for smaller homes, whereas the less expensive AmpliFi LR (Long Range) can cover the same ground, albeit with four high-density antennas inside the main unit. After reading a lot on newer routers, having suffered complaints of predictable dead zones in the house, a bought a unit called the Portal, which looks like a white pillow or blob, but seems to get my 110 Mbs (download) speed everywhere. The tip was a review that pointed out that this unit uses some (back-channel?) connection usually only used by the military. I had noted that Google Wi-Fi seems to be dropping in the ratings, and the review also pointed out that you can’t “chain” the three pucks; the modem needs to be connected to the one in the middle. So the three-pack units seem unnecessary in a modest-sized house with twists and turns. I should add that DLink extenders using the house power wiring seem to work only if one the same “circuit” (fuse or circuit breaker). At least in older houses, that impairs their usefulness. I couldn’t tell whether the last units on your list make any use of such tech. Thanks for your comment. If you’re referring to extenders or powerline adapter that route the Internet connection through the home’s grid, mesh Wi-Fi does the same thing, except there’s no need to use the wiring because all nodes in the mesh connect to each other wirelessly. So what is usually missing from discussions of new wireless items is health and safety parameters. What is the strength of these devices in terms of EMF fields? Can they be turned easily on and off like the airplane mode on a cell phone, or is this one more way we need to worry about being irradiated 24/7 (not to mention surveilled through spyware infecting out IoT devices. So the 2nd question is how hackable are these? MacAfee said last week that there is no safe mobile device! Mesh systems are not meaningfully different than “normal” Wi-Fi networks. The difference is that they use multiple routers (a “mesh” of routers) to extend the network across a greater area. So back to your specific concerns, there has been considerable study of EMF and health risk in humans. The studies, in general, suggest that there are no risks from EMF, especially from very low power, low frequenct sources, such as Wi-Fi networks. According to the WHO, “In the area of biological effects and medical applications of non-ionizing radiation approximately 25,000 articles have been published over the past 30 years. Despite the feeling of some people that more research needs to be done, scientific knowledge in this area is now more extensive than for most chemicals. Based on a recent in-depth review of the scientific literature, the WHO concluded that current evidence does not confirm the existence of any health consequences from exposure to low level electromagnetic fields.” (See: http://www.who.int/peh-emf/about/WhatisEMF/en/index1.html). That view is supported by the NIH and other leading scientific organizations. As far as hacking, it wouldn’t be any different than a standard Wi-Fi network. Which is to say, it’s possible depending on the security of the specific router/manufacturer, but probably highly unlikely. As with any electronic product of this nature, staying current with system updates is key to keeping yourself safe. Thanks for pointing out the Orbi’s absence. It’s a good system, and could easily be on any mesh Wi-Fi list, except this one was focused on particular strengths. Consumer feedback and professional reviews have attested to them as well. That being said, however, the Orbi is a capable system in its own right, so it’s omission is not a reflection on its lack of ability. And you are right. Mesh Wi-Fi will consistently evolve, especially with firmware updates. If memory serves, Orbi is one of several systems mostly sold as a three-unit system, for prices a little higher than Google (and maybe faster). Three-unit systems are probably great for people with large houses. In trying the Portal, I played on a hunch that my 1800 sq. ft. house, despite twists and turns, could be served by a singe-unit model. The total lack of complaints from my wife and son suggest my hunch was right. You make a good point that consistent development and updates can improve a system over time. The Orbi is solid, but as an all-around performer, the Velop scores highly on metrics like range and throughput. It offers more in the app for advanced users. And Linksys has improved its performance since launching in January. If this list was a Top 10, the Orbi would easily make it, but since the roundup is based on specific merits, others stood out for their respective reasons. As I’ve said, that is not meant to be a negative reflection on the Orbi. I have a Netgear 600 N it is perfect for our whole house. I want to extend to our shop so we can stream movies and music. The shop is approximately 75 feet from house. Any suggestions that won’t break the bank? I too have a shop about 75’ away and just want Pandora music available in my shop. I have a Belkin N600 router in an upstairs attic. Help! 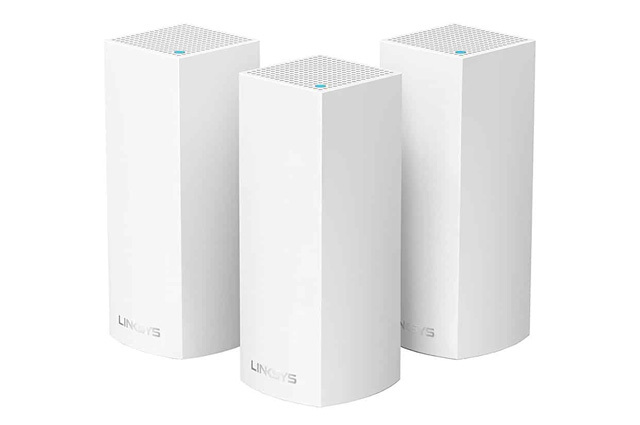 The Ubiquiti Mesh HD points we link to above can work with your existing Wi-Fi system to extend the range. It may be worth giving one a shot (place it in your house closest to your shop). So far I’ve tested the Amplifi HD and the Velop. The Amplifi is easy to setup and works fine. The Velop’s easy to set up too, and fast, but been passed on because it couldn’t detect my Drobo 5N and they were woeful in support.